Starting over is hard. Like, Monumentally difficult. My contract in Flagstaff ran out at the end of August. I had long decided that the distance was too great and the opportunities a bit too limited. So it was on the road again. The road home. It has been a whirlwind. Seeing old faces and trying to chisel out what life after AZ looks like. First Fridays are always big deals in Flagstaff. October’s felt particularly swollen, likely due in no small part to the government shutdown cutting most tourists expectations for their southwestern adventures. Something else that was odd about this particular ArtWalk was that I was a live event. Work never stops at the Center, and right after Four Corners came down I set right to work on Prelude to Open Studios. An exhibit of local artists that another non-profit runs through the Coconino Center for the Arts. The work covers all media and techniques and you never know whats showing up until the drop off date, which also happens to fall on the first day of installation. The best graduation gift I received when I went off to college was a hand-made quilt from my Grandmother. Grandma Atchley is a life long, and incredibly talented seamstress. When I was young enough to require supervision I would often tag along to her quilt meetings in the Norris church basement. I would sit there and watch the ladies work at these massive quilts that they would so often simply give away. Which is part of the reason why I still hold that handmade quilt with such high esteem, and it was the first blanket I ever owned that properly fit me. It was also part of my creative spirit that I so readily credit to my talented grandparents. This was just a part of the reason that I was so excited to be apart of CCA’s Four Corners Quilt Exhibit. But could have never prepared me for the images I would see become a part of this exhibit. Wow, have I ever been M.I.A. Needless to say this summer has been a whirlwind. In the 6 months since my last post I have traveled across the country, moved twice, and installed 8 different exhibitions. Not the lazy days of summer I’m accustomed to. My summer kicked off as so many do with a mini-vacation, but this vacation wasn’t all play. Though I’m sure it looked that way to an outsider. Over memorial day weekend I traveled to Telluride, Colorado for their Mountain Film Festival. Part of the process, arguably the best part, of running a film festival is recruiting talent. Quite the opportunity fell on me the other day. A local gallery invited me to display some work in their space for April. This is huge. I can not explain what this means to me. Shows are rare. Solo shows are unicorns. I have had my share of rejections and disappointments over the last few months. Nothing heart breaking, just par for the course during the first few years out of school. The hardest part of life after school for me to adjust to is the free time. In school I was booked. Every moment of every day was accounted for before I knew what would happen. In post undergrad life it’s up to me to entertain myself, and I am finding that I am genuinely bad at this. Netflix offers a good consolation to experiencing real life but I begin to miss the sun after some time. Luckily a few weeks ago social media delivered a saving grace right to my laptop. 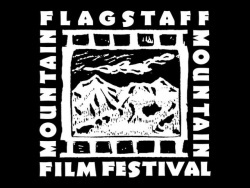 I woke up one Sunday morning, frustrated with my lack of plans for the day, and opened my computer to discover a listing on the Flagstaff Mountain Film Festival’s Facebook page. The 4 minute old post was seeking applicants for a part-time internship with the group for remainder fo 2013.